Hello! 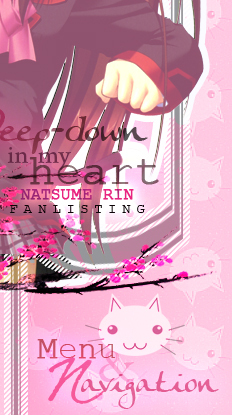 Welcome to "Deep-Down in my Heart", the TAFL and TFL approved fanlisting dedicated to Natsume Rin , a heroine from the series Little Busters!, created by Key Visual Studio and animated by J.C. Staff! Rin could be considered a "difficult girl" from her schoolmates and people that know her only superficially, because she's the kind of person that is always in a daze, and that doesn't consider important her bond with realty. Rin is silent and serious, a girl that doesn't care about what people thinks about her. She's not good with words, and the major part of time she can't say a thing, especially in embarassing situation. It's not like she doesn't want to talk with the others, but she has things that hurt in her heart, and she can't find words to express them. Rin is a kind person with a golden heart, but because of her aggressive behaviour, she's considered a person to shun. But there are special friends that love her just for what she's able to show them, like Komari and Riki. I adore Rin and Komari's relation, it's so sweet!! 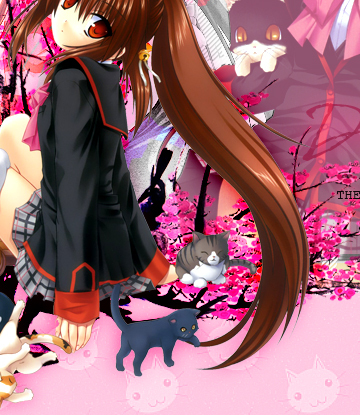 She likes cats and she's always ready to save one of them from troubles. 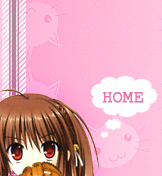 That's because of this that Rin is always surrounded by a lot of kitties that obviously adore her. She doesn't care even about school or time, she just does what she wants and when she wants, always trying to do her best! 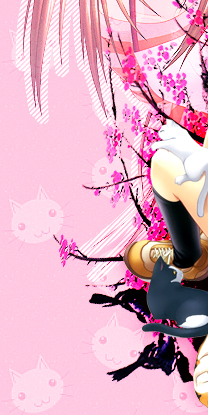 I adore Rin and I think I adored her since the first time I started to follow the series, she's abosolutely marvelous! Please choose a link from the right to fully access this site and if you're a fan of Rin-chan, feel free to join her fandom! all rights reserved. This is a fan-site and I don't intende to violate them. Layout & contents ©Dorothy. Images from Zero-chan.